7 Reasons Dogs are Man’s Best Friend. I’m a dog lover and most of my people-friends love dogs, too. What is it that makes the relationship, the friendship, the connection between man and his mutt such a special one? Here are seven reasons, I believe, that dogs are man’s best friend. Man and his best friend, contemplating life from the back porch. 1. Dogs love us unconditionally. We don’t have to do a thing in the world to earn a dog’s love, and we don’t have to love them first. They choose to love us no matter what, wholeheartedly, unquestioningly, absolutely, no strings attached. Even when we don’t deserve it, dogs love us anyway. 2. 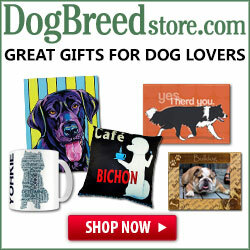 Dogs know how to read our moods and respond accordingly. Having a fabulous day? Fido knows and his behavior reflects it. (“Throw the ball again, Dad!” he says with his doggy smile and happy pant, pant, pant!) Feeling sick or sad? Chances are, Fifi can tell and will leave you alone until you feel better. She’ll deliver sympathetic looks or even worried whines to comfort you and let you know she cares. Dogs just seem to know when to get close and when to keep their distance. Now, that’s a good friend. 3. Dogs have amazing talents. Most everyone is aware of K9 dogs used by both the military and police departments around the world to sniff out drugs and bombs or to track and locate missing persons, both bad guys and good guys. Some dogs are trained to jump out of airplanes to perform rescues or infiltrate war zones. And we haven’t even mentioned working dogs who herd cattle or sheep, or kill rats that might otherwise ruin hay bales stored in barns. Let’s not forget the service dogs that sense changes in blood sugar levels or warn their masters about an impending seizure, guide the blind or, just by their presence, help to heal the war-scarred veteran. Between instincts and specialized training, working dogs of all kinds truly are amazing and make wonderful best friends. 4. Dogs help keep us safe. Everyone has heard stories about dogs saving their families’ lives, awakening the household as a fire threatens their home. Hopefully you’ve never experienced anything that dramatic, but it’s good to know that dogs are there, helping to keep us safe. Having a dog that will bark when someone comes into the yard, a stranger comes to the door, or the family toddler toddles too close to the swimming pool is reason enough to adopt and love a good watchdog. 5. Dogs help keep us warm. You think “three dog night” was a rock band? Before that, the term was used as a temperature gauge! Whether the phrase originated with the Eskimos or in the Australian outback isn’t known for sure, but in any case, on a very cold night it was common for not one, not two, but three dogs to be invited to huddle and cuddle with humans in their bed to keep each other from freezing to death. Now, those are canine friends to really appreciate. Brrr! 6. Dogs make good pillows. And step stools. And horses. Our family’s first dog was a Golden Retriever named Maggie. Our boys were 7 and 3 when we got her. She was a grown dog who formerly lived with a family with several children, so she was used to youngsters and their ways and, being a Golden, she was as gentle as could be. During the years Maggie grew old with us, she served not only as a faithful companion to our boys, sometimes she served as furniture. In fact, one of our favorite family stories is one my husband tells. Arriving home from work one day, he spied our youngest standing behind the bar that divided the kitchen and family room, happily leaning on the countertop, sucking his thumb. Something looked different and Dad realized that our son seemed taller. As Dad walked around the corner into the room, he saw why. There was a very patient Maggie (who outweighed our 3-year-old by far), lying peacefully on the floor with our little guy gently standing on her. Both were content, our son with the higher vantage point and his buddy Maggie with the companionship. 7. Dogs love you in spite of yourself. You may think you’re not very smart. You may not like the way you look. You could, perhaps, be smelly (hopefully that’s a temporary condition, but it doesn’t matter because dogs love “stink!”). No matter your faults or how you feel about yourself, once you and your dog become buddies, you’ll have a best friend for life and probably a higher self-esteem, too! If you need a “man’s best friend,” don’t overlook a four-legged, furry one, especially one that is in desperate need of a home. Want to rescue a dog? Contact your local animal shelter or ask the neighborhood veterinarian. 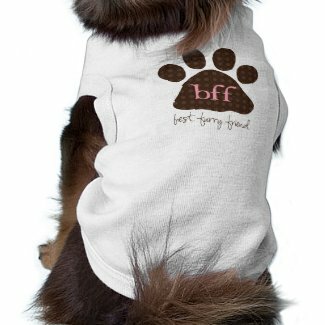 There’s a perfect BFF (best furry friend) out there, waiting just for you! Everything you have written is so true! Dog are more than pets, they are friends, companions, blankets and ladders too. I loved your personal stories about Maggie. I could easily visualize that precious child and companion working together to rise your son to new heights. Our pups certainly give back as much, or more than we give. In my families case, they have certainly provided a lifetime of protection. I would add another reason to your excellent list, Susan: to keep the owner slim. I have owned three Golden labradors over the last 30+ years, but since the last one died, I have had a battle with weight. Exercing my dog three times a day was as good for me as it was for them! Colin, you are so right about the exercise. The pair in the picture take daily walks – and Daisy doesn’t let “Dad” forget that, either! Your dogs sound wonderful. Wish you could have another! There is nothing like a good, faithful dog to soothe your soul when you are upset, comfort you in sadness, and enjoy your happiness with you. I love dogs, I’d have a houseful if I could. I love this article Susan, thanks for sharing it. Thank you, Nancy, that was very well said. Wish I could have a houseful, too. Of course counting the grand-pups, we have three housefuls! Is Shirley Temple Still Alive?